This is Gracie. 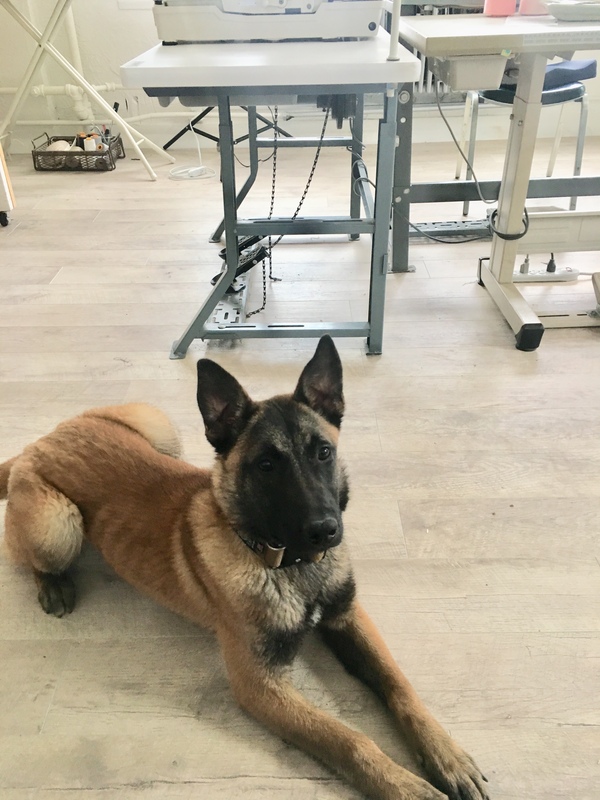 She is a six month old Belgian Malinois, and now, she is often my studio partner. I’ve never had a puppy before, and generally, starting with a high drive breed is not recommended. Thus, this has been an interesting past few weeks of adjustments! In reflecting on why I would have willingly taken on this immense distraction from focused work, I came up with one thing: puppy dogs force us to live in the moment. Thus, here we are, learning to rearrange our lives and schedules all over again, minute by minute. Easy by easy, as Daniel’s Italian-born grandfather likes to say. Every day gets a little easier, bit by bit.